In a strip mall on Sugarloaf Parkway, sandwiched between Old Norcross Road and Highway 316, is the third member of Taqueria Los Hermanos chain (of four, as there is now a Suwanee location). It’s easy to miss, as this area is packed with chains of all kinds. Passing it though, would be a mistake, as this small Atlanta area chain is one of the better taquerias around (reviews here and here). The emphasis has to be placed on “tacos” in this place, because the tacos, far better than in any generic “Mexican” chain, make the reputation of this restaurant. 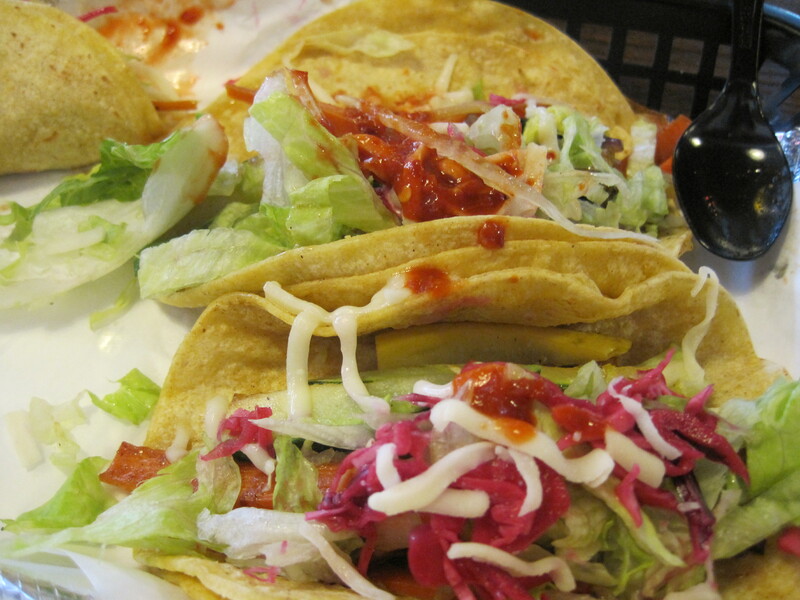 Well, in Taqueria Los Hermanos, it’s the tacos, the excellent salsas and dry crisp chips, the excellent service, the way food rapidly reappears on your table. I’ve felt in general that Taqueria Los Hermanos always excelled at the little things and had some trouble getting together really good entrees. This changed when we ate at the Lawrenceville location. 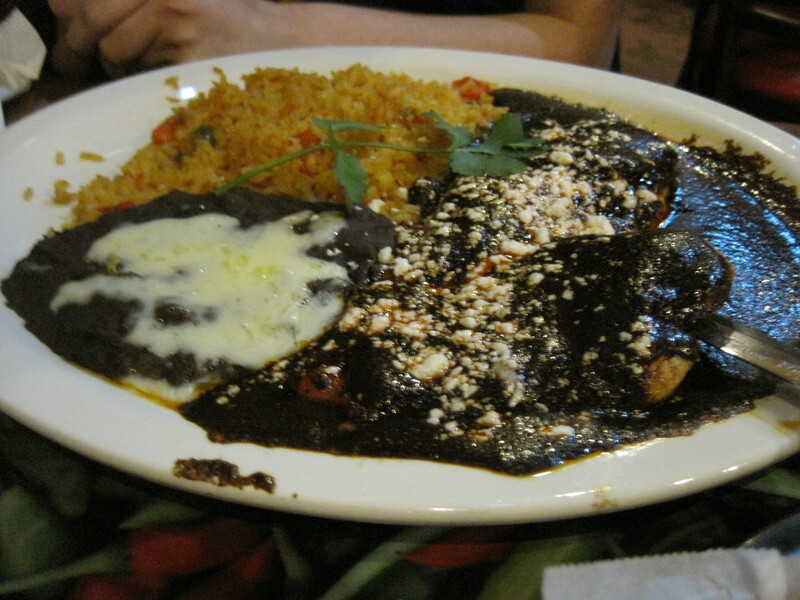 pechuga en mole, sauce on the side. pechuga en mole with the sauce. One of the specials this day was pechuga en mole, and both my daughter and my wife ordered it. My wife ordered it with the mole on the side, my daughter as it is normally served. It worked well for both of them, and they really enjoyed the dish. 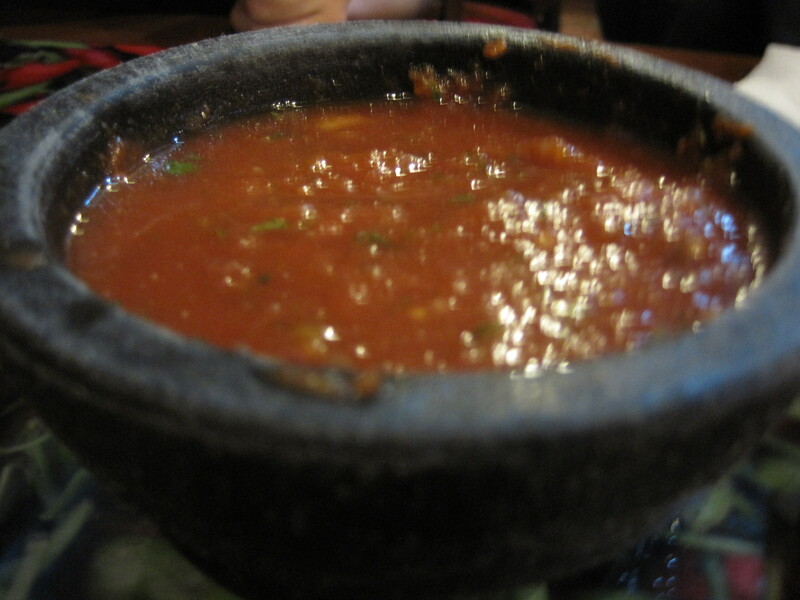 The base salsa here is a bright red salsa with lively bright flavors. The bowl they give you is large and they refill it often. Chips, as mentioned, are dry, not oily. They do well with the salsa that comes with their tacos, and their pico de gallo is also quite good. 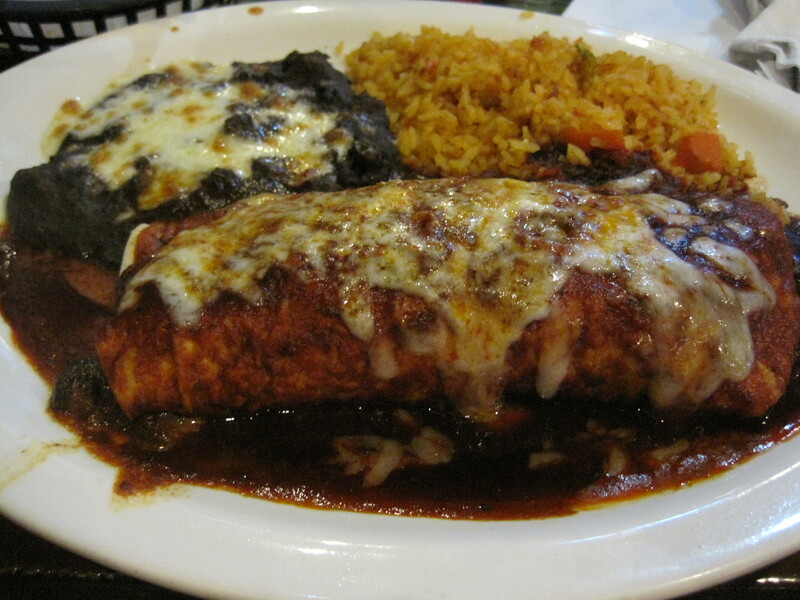 Taqueria Los Hermanos wouldn’t hurt themselves if they added a salsa plate to their menu. The carnitas taco is much larger than I remembered, and this day the verde sauce came separate from the taco. Other times I’ve eaten at this chain, everything was assembled for me. I also had their pastor burrito. I think Taqueria Los Hermanos handles pork well, and you’re missing out if you don’t have some pork when you eat here. Overall? The best meal we’ve collectively ever had at the Taqueria Los Hermanos. This chain comes very highly recomended. 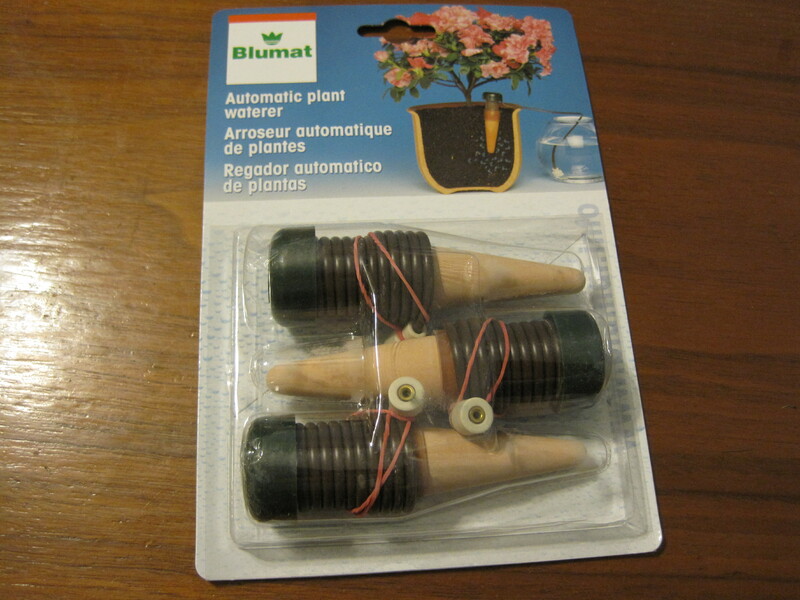 It’s a serious fix for the “I want more than a Speedy Gonzales” blues. 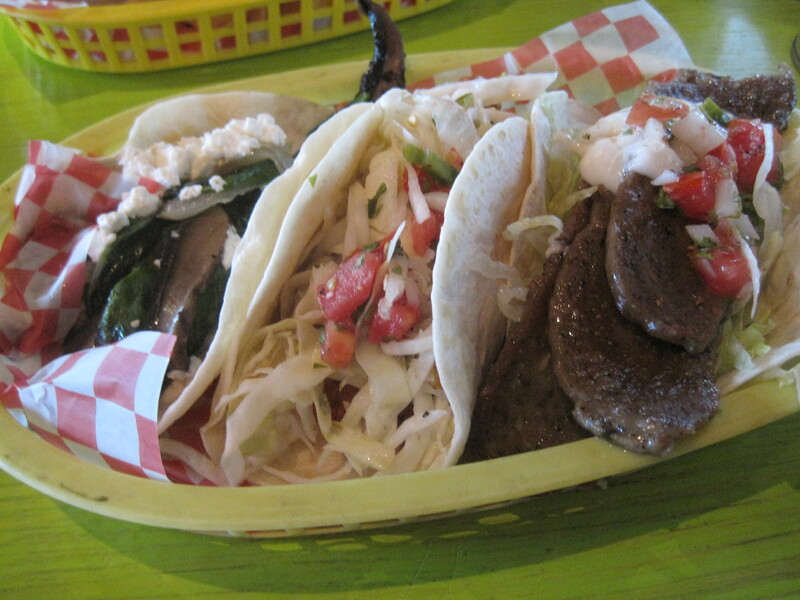 Taqueria Del Sol is an attractive, informal restaurant with multiple locations, one of which is in Decatur. 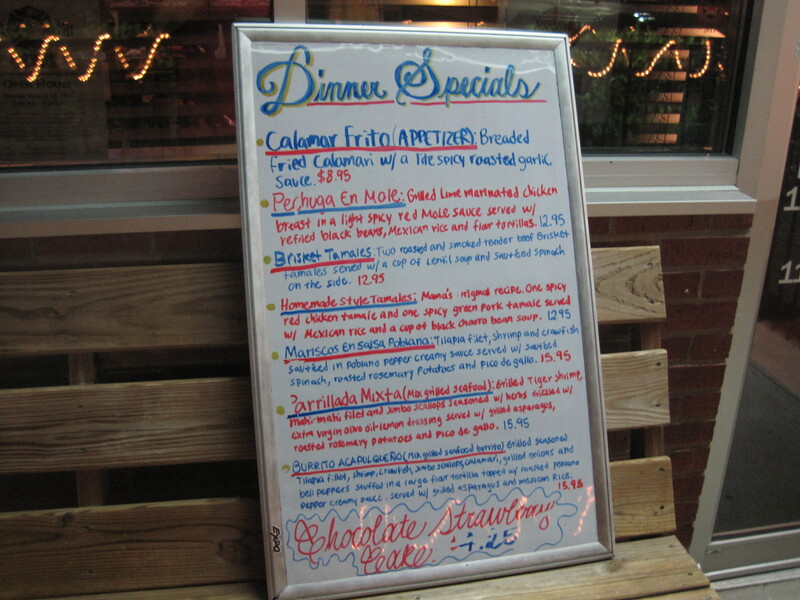 It’s on Ponce De Leon and close to a lot of places with good food, including Watershed and Sawicki’s. 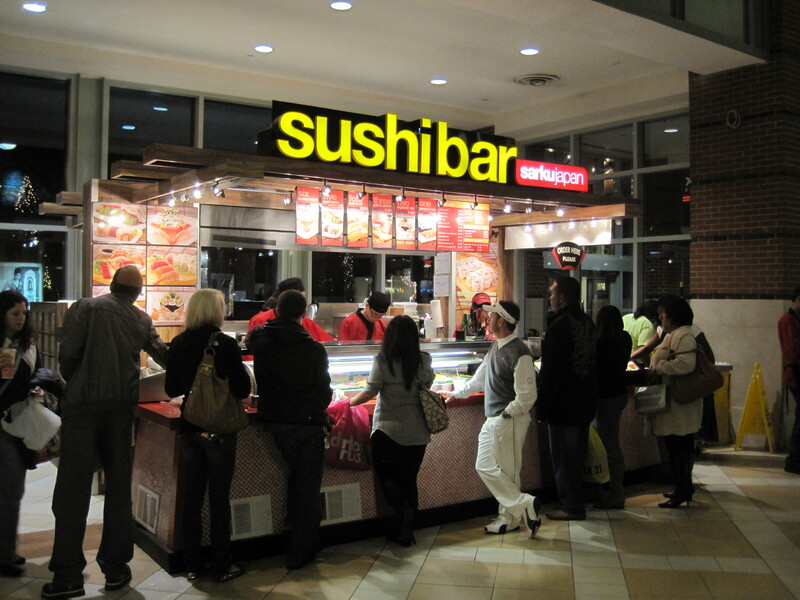 We went there recently, as my wife wanted to try something new for lunch. To note, as Decatur is a hard place to park, Taqueria Del Sol has its own parking. Every time I’ve seen Taqueria Del Sol there has been a line out the door. This was no exception. It was a hot day in July and the sun was more annoying than the heat. I’m not much of a fan of sunglasses, but I’d recommend them here in the summer time. The line moved rather quickly, and after a few minutes we were inside. The lunch menu for Taqueria Del Sol is relatively simple. They offer about 6 different tacos, 4 different enchiladas, sides, soups, and what they call starters. Starters are chips with something to dip them in. For my family I ordered chicken enchiladas for my wife, beef brisket tacos for my daughter, a Memphis taco, a fish taco, a shrimp taco for myself, along with the jalapeno cole slaw. We ordered the salsa trio starter for everyone. We also ordered soft drinks, and we were handed ice in cups and cans. Near the entrance there were metal tables with tall chairs to sit in. Almost by the time we were seated the chips and salsa came out. The chips were good, but to be honest, the salsas (a red salsa, a green salsa, a pico de gallo) were pretty ordinary. 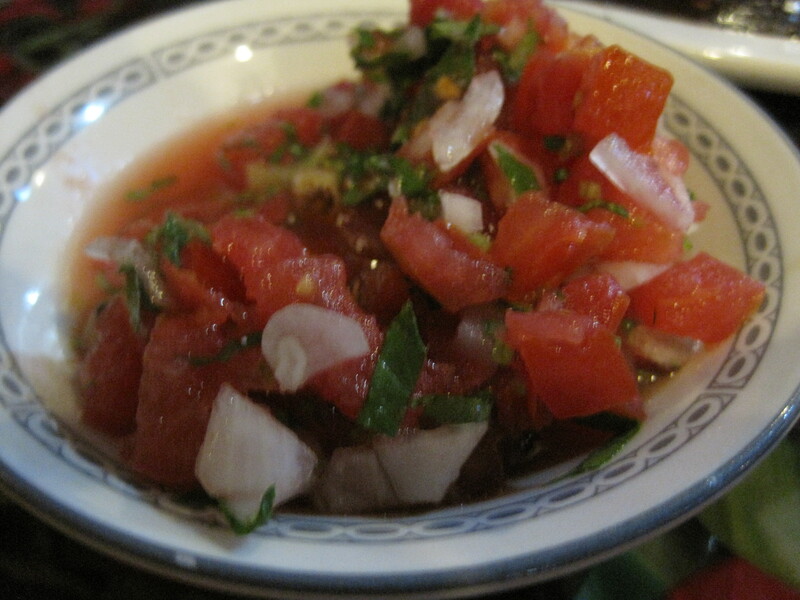 No heat, no spice to speak of, and most home made pico de gallos are better than the one they served. In just a couple more minutes the food was served. The restaurant did far better with main courses. The fish taco was quite good, crunchy with a nice fish flavor. The Memphis taco tasted like a pulled pork sandwich without the white bread, and the shrimp taco was tasty as well. My wife’s enchiladas weren’t bad, though she also complained about the lack of spice and heat, and my daughter said that her tacos were also good tasting. There wasn’t a lot of service here, but the service that existed wasn’t just good or excellent, it was superb. I have mixed feelings about this place. It delivers the goods, without question. Tacqueria Del Sol is taking border cuisine, and expanding it in original ways. The more western character of the food exposes a Mexican influence to people who just wouldn’t touch it otherwise. It’s a pretty restaurant with good looking clientele. If you just ordered a drink and a taco and watched the crowd, it’s probably better, cheaper entertainment than half the movies at the cineplex. However, this is a restaurant that feels to me like “Taqueria Del Mild”. There are a number of restaurants with salsas I can think of better than Del Sol’s red, which lacked flavor and heat. The tables didn’t have any hot sauces available that I could see, and the food would really improve if something akin to Mojito’s habanero sauce were available. Mojito’s habanero and Del Sol’s tacos would be a killer combination. Verdict: Good inexpensive tacos served quickly. Great service. Great people watching. Milder food than I prefer, but still highly recommended. To get to Taqueria Del Sol from Snellville, take 78 until it becomes Scott, take Scott to Clairmont. Turn left (south) on Clairmont and take it until you get to Commerce. Turn right on Commerce. Turn right again on Ponce De Leon. Taqueria Del Sol will be on your right after a couple blocks. Agavero Cantina is a very attractive restaurant, brick and thick wood used freely throughout, plaster where appropriate, and in the main dining hall, a ring of tequila bottles above the tables. It’s roughly a half block north of the Beaver Ruin – Lawrenceville Highway (29) intersection, on the right as you’re heading north. It’s a bit of a hard restaurant to place. It has Atlanta Tex Mex dishes, but perhaps only 1 of the 4 pages of the menu are devoted to that kind of food. They have a vegetarian section, for one, and most of the dishes seem to be Mexican, Tex Mex favorites, or cantina originals. So, unlike Frontera or El Jinete, trying to break free of that Atlanta Tex Mex mold, this one is, oh, 3/4 out of the shell. I came here during lunch with my daughter, and we were served quickly and chips were rapidly brought to our table. We ordered queso fundido as an appetizer, and for entrees, I ordered the Acapulco cheese steak and she ordered a Mexican omelet. Queso fundido is melted cheese with a healthy dose of chorizo, and Agavero Cantina’s version was not the soft white cheese you see often served. It was a melted pale yellow cheese, with a consistency closer to a semi-hard cheese. We ate bits of it with chips, and as the dish also came with pico de gallo and steamed tortillas, we put some in tortillas, along with the pico, and ate it that way too. It was good, but as the chorizo tended to generate fat over time, you had to eat it fast or forget it. The Mexican omelet was stuffed with chorizo, salsa cruda, and it had enough bits of spicy green pepper to let you know it had a bite. My daughter liked it a lot. My “cheese steak” was a tortilla filled with sauteed onions and sauteed strips of steak, with molten white cheese poured over the top. It was very good, reminiscent of the burrito al carbon served elsewhere. Serving sizes, as noted elsewhere, were good and the cost pretty low. Service was very good. 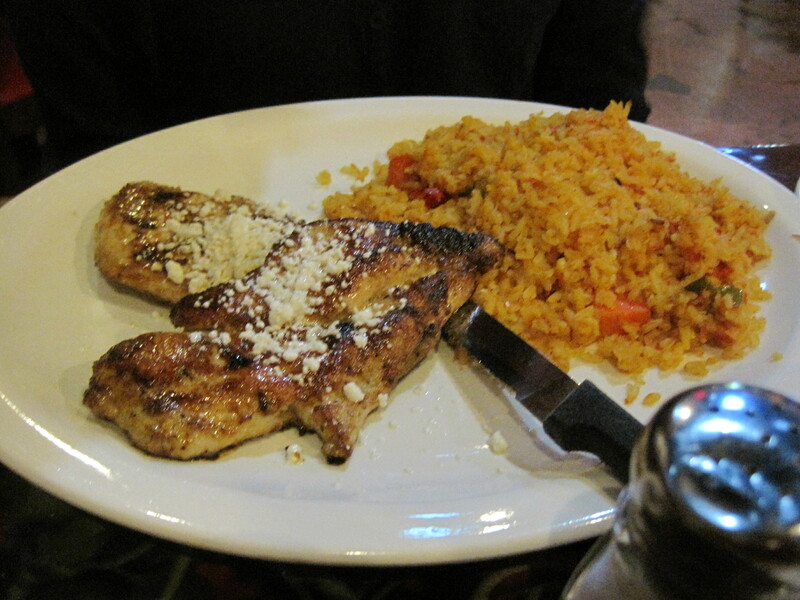 Verdict: Recommended, Good to excellent food, good service, a welcome addition to the Mexican repertoire of Lilburn GA.